Even certified geniuses have trouble in school now and then, especially if they have dyslexia. Sam isn’t your ordinary genius. Sure, she’s been invited to join a so-called “Brain Trust” of brilliant teens, and she’s enrolled in a half-dozen AP-level courses. But when her fellow wunderkinds discover her big secret—that she’s hiding dyslexia so severe that she can’t read—she faces serious social and academic repercussions. Counting to D poses critical questions about the nature and scope of childhood learning disabilities and the limitations of our education system to manage or even discover them. Ultimately, the message is a positive one: author Kate Scott herself suffers from dyslexia, and she’s written a valuable contribution to YA fiction. When Sam ends up in special ed despite extremely clever ruses, she is humiliated. After all, kids can be cruel. “You believe what you want to believe. You see what you expect to see. 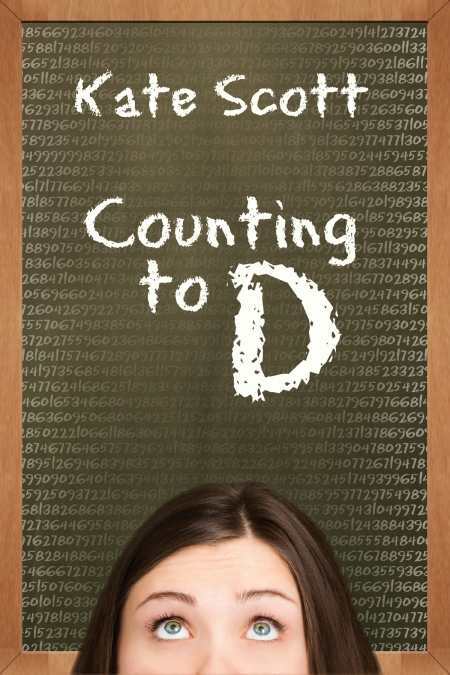 You think it’s impossible to be smart and dyslexic, so obviously, I can only be one,” she says to a friend who can’t reconcile Sam’s inability to read with her genius at math. Sam’s life has been about proactivity, hard work, and problem solving, yet she is as normal a teenager as young readers will have met: she worries about boys, popularity, her clothes, and her distant friendships. An unlikely heroine who doesn’t use a bow and arrow or a magic wand, Sam solves her problems by thinking outside the proverbial box, even when she can’t read what’s in it. The content is simply written and moves along at a brisk pace. Sam’s story lacks thrills and chills, yet it is a believable, straightforward narrative that will be at home in any young person’s library.